Mommy Moments: That's My Favorite | To Be, To Be. Tutubi. For this week's Mommy Moments theme of That's My Favorite, I want to show you this picture of my kids each clutching their favorite pillow. We were on our way to Bohol and this was to be their first plane ride. I wanted them to have something to comfort them if they become afraid. True enough, they were hugging their pillows while the plane was ascending and Mommy couldn't put them on her lap. But if you ask me what their favorite activity is, that would be SWIMMING! We do swimming parties any time of the year, mostly to celebrate birthdays. 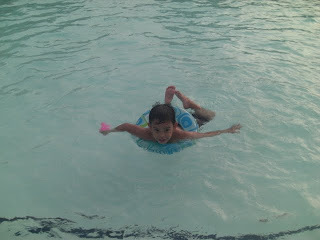 Danniel is turning 7 this November and of the choices I gave him (swimming, Baguio, Star City, Enchanted Kingdom), he chose a swimming party! And just to show you how they love swimming, check out these pictures! This was in Bohol, and even after a tiring country side day tour, they still went for a dip at the pool! Then in the morning after breakfast, some more swimming time for them! I was checking my picture folders and I realized that I have so many swimming pictures! This is indeed, hands down, my kid's favorite activity! 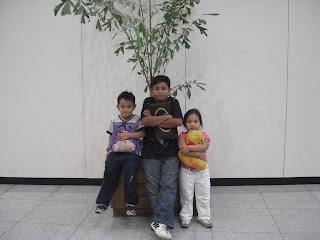 Wow, I love the photo of them with their pillows hehehe.. Favorite pillow, ung yata talaga ang comfort natin eh..like me even hanggang college i have a favorite pillow na piggy na hindi ako makatulog pag di un ang unan ko.. Your kids definitely love swimming..
Oh who can resist the beautiful water in the pool. Have fun...happy MM! 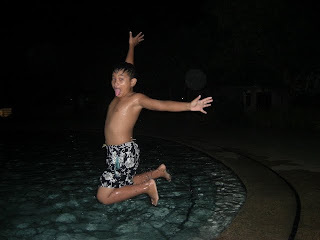 i like the freeze jump to the water..
its so refreshing to look at your kids pictures, they look so happy nga in the water. pillows and swimming :) :) my kids love those too! 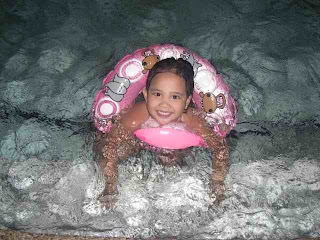 swimming is indeed more fun! i would prefer it for a birthday celebration too even if i can't swim! hi! how are you and your family? nagsubside na ba ang baha sa lugar niyo?